*Ad -We were provided with press tickets in order to review this show. Lily and I were kindly invited to Darlington Hippodrome in order to watch the new stage musical based on the iconic film starring Cliff Richard it promised fun and laughter with X-Factor runner-up, Dancing on Ice Winner Ray Quinn playing the part of Cliff Richard’s character Don. This was Lily’s first trip to see a musical at the theatre and she was really excited about it, despite either of us ever sitting down to watch the iconic film Summer Holiday before. 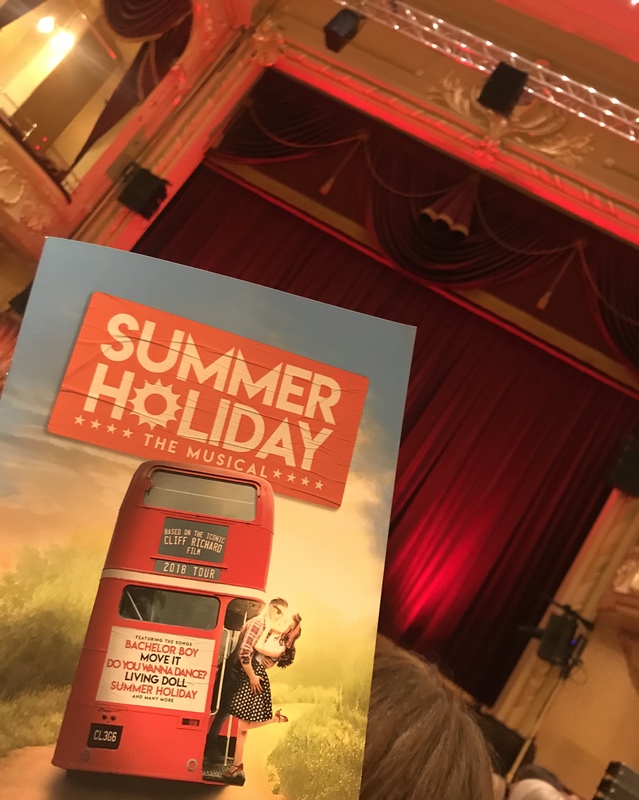 The Summer Holiday cast tells a colourful and energetic story of Don (Ray Quinn) and his friends (Cyrill, Steve & Edwin) who are London Transport mechanics, they get together and transform a red double-decker bus to embark on a trip they will never forget. Travelling through Paris, the Alps, Italy and Greece, where along the way, they pick up a girl singing group in distress and a young American pop star who has run away from her overbearing mother. Filled with lots of the golden oldies such as ‘Living Doll’ ‘The Young Ones’ and ‘Bachelor Boy’ you can’t help but tap along to the songs. The choreography and singing performances were brilliant throughout, but for me sadly the plot itself was a little thin and I did question the lack of scenery at times, it seemed the bus was thought of as enough, and it was well used, giving the audience a multitude of angles to watch the action on stage. I personally would have just liked a little more. That being said overall it really was a fun, energetic show that left you leaving with a smile and a great choice for a 10-year-old who loves musicals with no risk of any curse words or scenes that may need explaining later. Each and every song received a rapturous applause from the audience. Ray Quinn played the part exceptionally well with his vocal ability really shining throughout as well as his unique charm adding to the character. Another standout was Joe Goldie who played Edwin, his performance had many of us laughing out loud, perfectly adding the humour element. The audience was joyfully singing along to all of the top hits, with a standing singalong melody at the end too from the majority of the audience, I did ask Lily if she would like to stand up too but got a look that a mother knows, you must not embarrass your child. Lily’s (aged 10) reaction afterwards – “They were all really good and must have to work very hard to remember all those dances and songs” Lily was also singing along to a few of the songs she had never heard before tonight on the way home in the car. Summer Holiday The Musical is on at the Hippodrome until Saturday 29th September with some availability still left, you can check availability here. As a Darlington resident, I was really quite nervous when I heard of the plans for the Civic Theatre to be closed for restoration, worrying the theatre would lose it’s charm, one of those ‘if it’s not broke don’t fix it’ kind of feelings about it all. I needn’t have worried they have done a truly magnificent job of blending the old and new, giving passers-by a glimpse of the hustle and bustle inside through the floor to ceiling glass windows at the new main entrance. With more bar choices, more toilets, more seating and most importantly more accessibility to those who may need it, it has added so much to the venue. 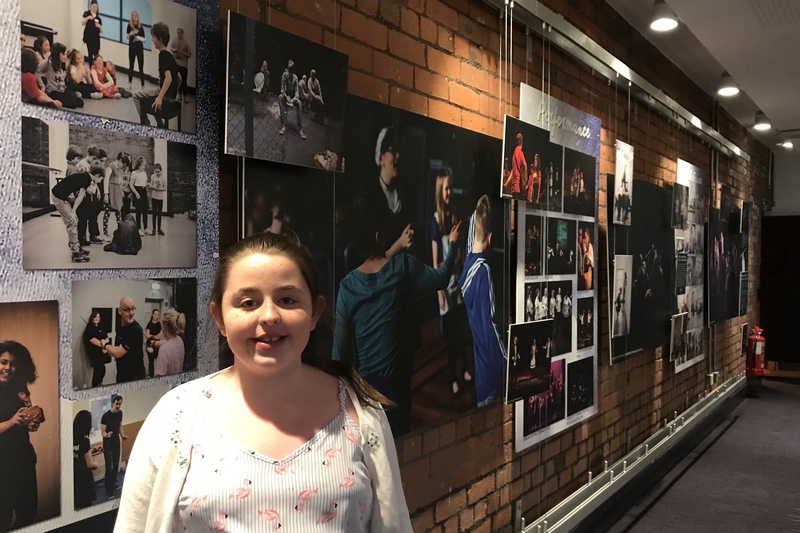 Even more so, that the backstage area is also able to cater for larger shows now too, bringing more great productions to Darlington and the North East. I remember going to the Civic Theatre and feeling quite squashed when entering and it was a task getting a drink at the interval but now the additional bar areas, seating and space around the theatre itself makes it a much more enjoyable experience and visually they have got it so right! If you haven’t been yet you can even just pop in during the day for a coffee as its cafe is open from 10am Monday-Saturday and they even have free wi-fi! Darlington Hippodrome is located on Parkgate and the postcode is DL1 1RR.